Shaun Murphy fended off a fightback from Mark Selby to claim the Haikou World Open title 10-6. World number nine Murphy had raced into a 7-2 first session lead before Selby mounted a stirring comeback. The world number two reduced the deficit to 8-6 before Murphy recovered his composure to go 9-6 up. Murphy raced away in the following frame but had to hold off Selby, who refused to give up despite needing a snooker, to seal victory in China. 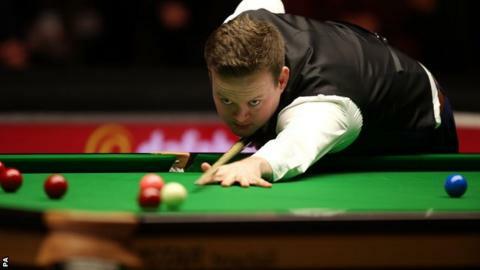 Former world champion Murphy, 31, said his first ranking tournament victory for three years was down to hard work, after intensifying his training and changing his diet early this year in a bid to get back to the top. Having also won last month's Gdynia Open in Poland, he told World Snooker: "There's no secret to it, I've just been practising every day for a long time. It worked in Poland and it's worked here. "On Tuesday I'll be back on the practice table. "I'm so happy to win a ranking event again, it has been a long time. Snooker is a very tough game now so these events are hard to win. "There are three more tournaments to go this season and maybe there's something left in the tank." Murphy dominated the early stages of the final, going 4-0 up with breaks of 64, 80 and 52. Selby rallied with 91 in the fifth before taking the next frame to reduce the arrears to 4-2. But Murphy hit his stride with breaks of 98, 105 and 112 to establish a 7-2 advantage at the end of the first session. Selby started the evening session strongly with a break of 78 and then followed up with two further frames to cut the deficit to 7-5. Murphy crucially won the thirteenth frame with a run of 60. Selby responded by winning the next but made an error on 49 in the fifteenth and Murphy capitalised ruthlessly with a clearance of 78. Selby refused to surrender even when left needing a snooker in the sixteenth frame before Murphy finally potted the pink to seal victory.